Former England international Tamsin Greenway has replaced Dan Ryan as head coach of the national under-21 side. Australian Ryan, who is in his first season in charge of Superleague side Manchester Thunder, has been forced to leave the England set-up after only two months because of visa issues. 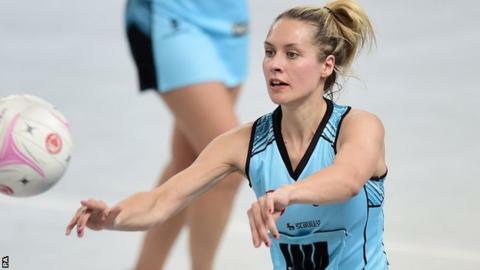 Greenway, capped 68 times for her country, is head coach of Surrey Storm. She retired from playing after the Netball World Cup 2015, where she helped England to a bronze medal. Greenway said: "It's a real honour to be given an opportunity to take on this role, even under the unfortunate circumstances."